even though autumn is approaching (how is it possible that summer is almost over?! ), temperatures here are still in the 80s, which means that i’m still loving warm weather drinks – lemonades, limeades, slushies, + smoothies. when i got some tasty fresh cherries a few weeks ago, i pitted + froze ’em (pictured below), knowing i’d want to enjoy them even after cherry season was over. when i came across a recipe for cherry limeade slushies, i knew i had found the perfect first use for those frozen cherries. and oh my goodness, these slushies turned out delicious! it’s a perfect combination of sweet + tart, with a wonderfully refreshing icy texture. really, a truly amazing warm weather treat! a couple notes: while i used fresh cherries that i personally froze for this recipe, you can certainly buy already-frozen cherries from the store instead. second note: the homemade limeade that is the basis for these slushies is SO GOOD. i’ve made two batches in the last week – it’s great as is, or i love mixing half a glass of sparkling water with half a glass of limeade. delicious! + one final note: i used my OXO cherry + olive pitter to cleanly + quickly pit the cherries with nowhere near the mess that other pitters make. if you’re looking for a new kitchen tool that i promise you’ll love, check it out! combine the sugar + 1 cup of water in a small saucepan to make a simple sugar syrup. cook over medium heat until the sugar has completely dissolved. let cool to room temperature. in a pitcher, combine the cooled simple syrup, the lime juice, + 4 cups cold water. taste + add more water if needed, based on your sweet/tart flavor preference. chill. 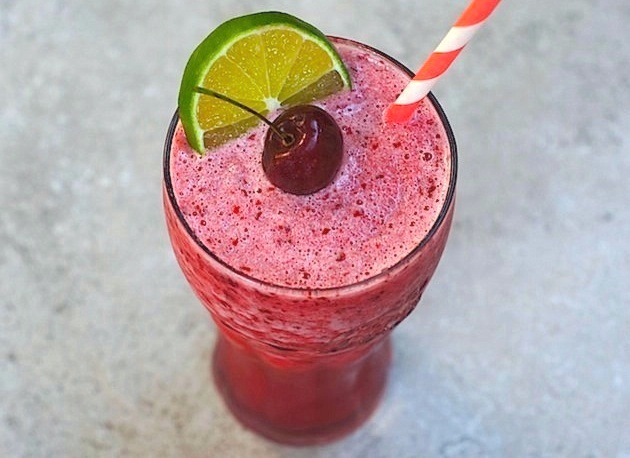 combine 2 cups of the limeade, 1 cup crushed ice, + frozen cherries in a blender. puree until blended to a slushy consistency, adding more crushed ice if necessary to get the desired texture you like. serve immediately. Yummmm!! I’ve actually completely lost my sweet tooth recently (I know, it’s shocking to me, too), but these sound really good! This looks amazing! And it’s already fall over here… it was in the 50s yesterday. Woohoo! But I’m kind of sad… all the yummy fruit will soon be gone and I’ll be stuck with apples until June. And oranges will come at some point. Bla. Anyway, never had a slushie. I’ll have to try them some time! apple season is approaching here, too, + while i’m looking forward to cooler temps + fall fruits/veggies, summer produce is definitely my favorite of all the seasons! My husband would love this! I might have to make slushies next weekend! It’s still RIDICULOUSLY hot outside here, so anything that has ‘slushie’ or ‘icy’ in the name is right up my alley! I love Sonic’s cherry limeades and I know I’ll love this even better homemade icee version. Looks incredible! 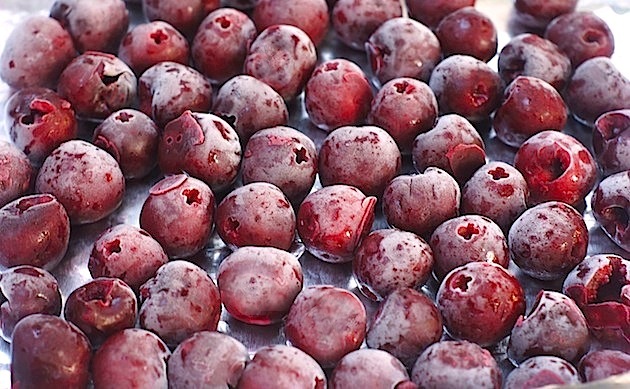 I love the idea of freezing some cherries – not sure why I never thought of it before. These look absolutely terrific! I’ve only the cherry and lime combo once in a chia drink, but I loved it! Wish I had one of these right now. what a gorgeous looking beverage! we’re eliminating white sugar from our diet, but I bet agave or Truvia would both work just as well in this. Will bookmark to try soon! thanks, katie! i bet you could definitely substitute agave or trivia – you’ll have to let me know how it is if you try it! I love freezing my own fruit – it always tastes better than the frozen stuff you can get at the store And I have that OXO cherry pitter – it is litterally a godsend. I can’t believe summer is almost over man. It’s 97 degrees all week here in LA! That only means I’ll have to refresh myself with this awesome slushy! Yum! So pretty!! I love the idea of sipping one of these this summer – it’s still so hot!!! I freeze a lot of fruit in the summer, too! Including tomatoes. honestly, it’s been ages since i’ve had the sonic version, so i can’t honestly say how it compares. i think that may be a good excuse for me to go out + get a sonic one this afternoon, don’t you? =) will report back! Ooh great use of frozen cherries! I like the idea of freezing cherries and then having a good use for them. I think this could also be good with some vodka in it too! I love the cherry lime combination! Even though it’s almost fall, it’s still really hot here, too! These are perfect! Okay, so I totally have a bag of cherries sitting in the fridge that I should pit to use for these slushies–they look amazing!! My husband especially loves limeaides, so he’d probably fall over backward if I made one of these for him. LOVE! This is my kinda slushie!! YUM! It is still so hot here I cannot even think about fall. This is a great summer beverage. It would be spectacular if there was one waiting for me after mowing the lawn. I love limeades. Cherry is always my favorite flavor too They’re so refreshing and perfect for warm days, which I don’t want to say goodbye to just yet! my OXO cherry pitter is my new favorite kitchen gadget. I don’t care what they say about having 1 tool for only 1 purpose, they’re there for a reason and it makes it sooo much easier! I don’t know what I did without it. i love this cherry limeade, such a refreshing cooler and i’m a big fan of cherry drinks! I haven’t had a slushie in so long & this is such a lovely combination. Must try! Oh my. I felt the need to try a 7-11 sugar free slushie tonight… this looks so much better!!! Love this! So refreshing and a perfect use for the cherries! 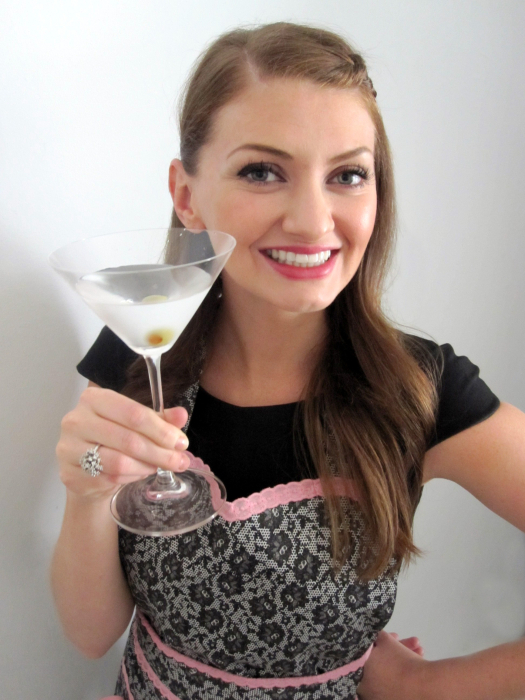 I wish you lived closer because 1) i would make you one of these right now + 2) you could test-drive my cherry pitter. it really is an awesome tool, + no more ruined white blouses! i just so happen to have cherries, so i’ll be trying this soon. i have an abundance of lemons that have reached their prime, so i’ll try a cherry-lemon variety this time around. lovely photo! ooh, you know I love me some lemon – can’t wait to hear how the cherry-lemon version turns out. please report back! gorgeous shot of frozen cherries, amy! love the idea of a limeade slushie! Yes please! These look like they could satisfy anyone on a hot summers day! I have cherries in the fridge that I just said need to be frozen…now I know the perfect use for them! These look so, so good! So much better than 7-11! This looks like an amazing summer treat! love cherry limeades!! I happen to have all of the ingredients for this delicious looking slushie in my fridge and freezer. I’m totally making these this week. I need to get one of those pitters. Last time I pitted by hand, and there was red stained cherry juice every where. It wasn’t a pretty site.